1300 - Carib Indians of South America conquer the indigenous Arawak Indians. - Christopher Columbus visits the main island on St Vincent's Day. 1783 - Treaty of Versailles recognises St Vincent as a British colony. 1795-97 - Britain, with French support, deports 5,000 caribs to Belize following an uprising. 1812 - First recorded eruption of La Soufriere volcano which resulted in many casualties. 1834 - Slavery abolished, forcing plantation owners to free more than 18,000 slaves; foreign labourers indentured. 1902 - Second eruption of La Soufriere volcano results in the death of 2,000 inhabitants. 1951 - St Vincent granted universal adult suffrage. 1958-62 - St Vincent a member of the British-sponsored West Indies Federation. 1969 - St Vincent granted internal self-government, with Britain retaining responsibility for foreign and defence affairs. 1979 October - St Vincent and the Grenadines become independent with Milton Cato of the centre-left St Vincent Labour Party (SVLP) as prime minister. 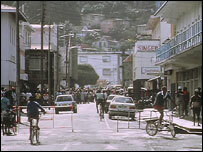 1979 December - Revolt on Union Island by a group that wanted more power in the country's new government put down. 1981 - Workers stage a general strike in protest at new industrial relations legislation against the background of an economic recession. 1984 - James Mitchell becomes prime minister after his centre-right New Democratic Party (NDP) wins a surprising victory in the general election. 1989 - Mitchell returned to office after his NDP won all parliamentary seats. 1994 - Mitchell and the NDP returned to office once again, but with a reduced majority. 1998 - Mitchell and the NDP scrape a fourth term. 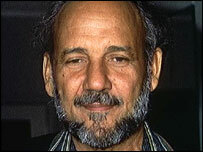 2000 - Mitchell resigns and is succeeded by his finance minister, Arniham Eustace. 2000 - Anti-government protests and industrial action are sparked by a proposal to increase pensions for parliamentarians. 2001 March - Opposition leader Ralph Gonsalves becomes prime minister in elections brought forward from 2003 because of anti-government protests in 2000. 2002 June - Governor-general Sir Charles Antrobus dies. 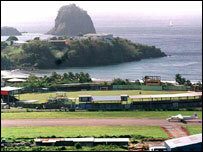 2003 February - St Vincent and the Grenadines is admitted to the Non-Aligned Movement of developing nations. 2003 June - Country is removed from a list of nations deemed uncooperative in the fight against money-laundering. 2005 December - Prime Minister Ralph Gonsalves and his Unity Labour Party win a second term in general elections. 2009 November - Voters reject the proposal to replace the monarchy with a republic in a constitutional referendum. 2011 January - Main opposition New Democratic Party denies allegations by Prime Minister Ralph Gonsalves it was involved in a plot to assinate him.